Yesterday was another successful Portland Flea! If you haven't made it out yet, it's a must! Before the crowds arrived, I quickly snapped these photos. After vending at every Portland Flea for almost three years now, I think I can safely say that this was the most attended flea yet! There were tons of people mulling about all day long. 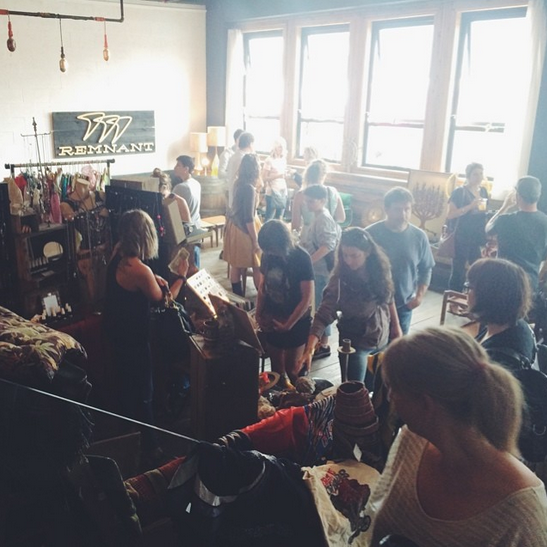 Here's a pic from Portland Flea's instagram. If you're bummed you missed out, come to Sunday Emporium this Sunday from 11-5pm at Rejuvenation. It will be a different vibe and vendors, but still lots of treasures to be found.